If you’re a marketer, you’ve probably heard of Neil Patel. In case you haven’t, here’s a quick introduction. Neil Patel is the co-founder of both Crazy Egg and Hello Bar. He also works closely with companies like Amazon, NBC, GM, HP and Viacom to grow their revenue. As one of the most prolific names in the digital marketing world, Neil Patel is as polarizing as he is well-known, often tiptoeing the line between genius marketer and mad marketing scientist. After all, not every marketer has the opportunity (or, let’s face it, the moola) to test buying a $1.7 million condo as a marketing strategy. But how does Neil decide what to test? "Based on data. I look at both quantitative and qualitative data. Quantitative is numbers and I look at things like drop off rates in the funnel for example, bounce rate, or even time on site. Qualitative is feedback that you get from users through methods like surveying. For example if everyone says they don't want to buy your product because you don't offer free shipping, increasing your product price and making shipping for free could be a test worth running. Tweet this quote to your followers! Beyond the millions of dollars Neil spends on “testing” these extravagant marketing tactics, there’s a lot to be learned. So today, I’ll be breaking down four of the grandest, most controversial marketing strategies Neil Patel has employed, and constructing takeaways you can put to use in your own marketing. So put on your lab coats, you lead-generating, landing page-creating, A/B-testing chemists - it’s time to dive into the mind of Neil Patel: the Mad Scientist of Marketing. 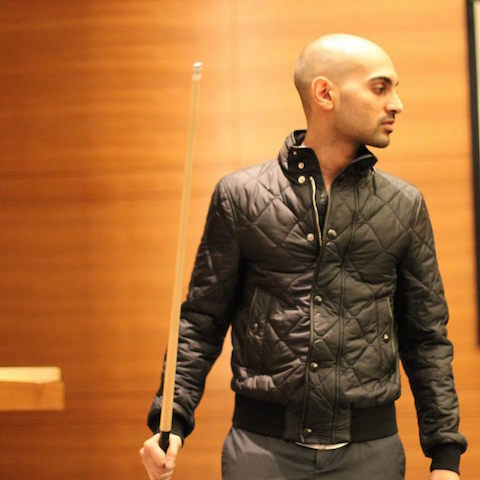 Let’s get this out of the way right now: Neil Patel is no stranger to controversy. That’s what makes him the successful marketer he is today. No marketing idea is out of the question - from conservative to crazy, he’ll test it. You’ll see what I mean as we go through this article. In truth, this first experiment relates pretty heavily to Experiment #4 down below. However, because he employed such a specific strategy within a specific segment of digital marketing (social media), I thought it best to keep it separate. Turns out, even Neil Patel isn’t free from the reach of social media influencers. If you’ve been on Instagram in the past few years, you’ve probably heard of Dan Bilzerian, who Neil refers to as “the modern Hugh Hefner”. It’s exactly what it sounds like - Dan’s Instagram feed is full of beautiful women, luxury yachts and copious amounts of alcohol. 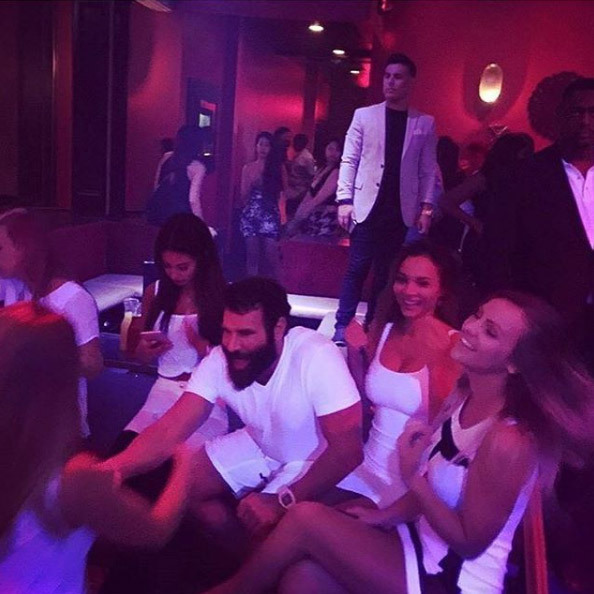 Dan Bilzerian is so popular because he has succeeded in creating a life other people want. "It isn’t Dan’s lifestyle that interests me, however. It’s what other entrepreneurs say about him. In essence, they love his life because they can’t have it." As is natural for our marketing mad scientist, Neil sought to recreate Dan’s success on a lesser scale and embarked on a quest to become Discount Dan. One of @danbilzerian's less scandalous photos. Neil received a lot of flak on his blog for his Bilzerian-esque Instagram marketing tactics… but received just as many comments from people commending him on his methods, or from entrepreneurs who found him through Instagram. He spent the majority of his money (no specific figure) on prizes for contests he ran on his and others’ Instagram accounts. 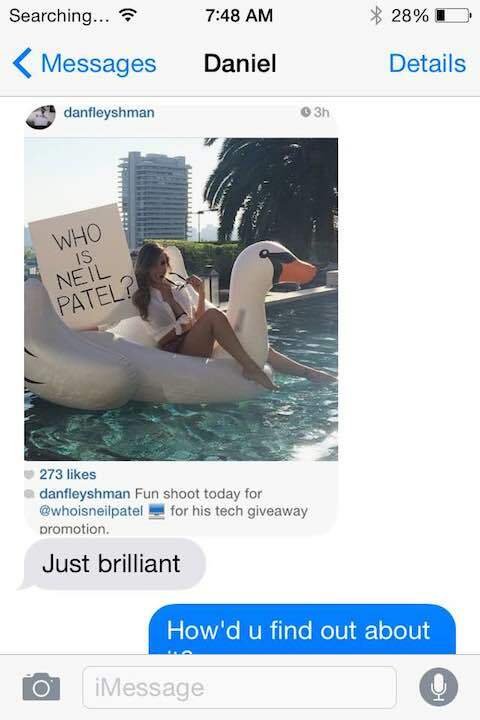 Neil paid models (like Arianny Celeste, UFC ring girl) to promote @whoisneilpatel and give away prizes. He found each post from a model caused about 0.2% of their followers to follow him. UFC ring girl Arianny Celeste promoting @whoisneilpatel. He posted flashy, luxurious photos of things like “cash, jets and exotic locations”, an approach he found worked well. @whoisneilpatel ended up with 143,000 followers (the account is now defunct); the hashtag #whoisneilpatel was used 11,000 times. The account received 4-5% engagement on each post (above the average of 2%). He received many texts from “big-time” entrepreneurs each time a model posted about him. The number of Google searches for his name increased by 71%. Though Neil didn’t provide any specific figures, he did say once he “fine-tune[d] the approach” he would be able to drop his monthly costs to $10,000 to $20,000, and turn a profit within 3 to 6 months. Chances are, if you’re not Neil Patel, you don’t have $57,000 to drop on a single month of Instagram marketing. Fair. Because Instagram has matured into a platform ruled by influencers, it’s a no-brainer that partnering with these influencers is a great way to quickly spread brand awareness. Running contests like Neil did is a solid way to build your follower base and grow engagement. That’s no typo. Neil spent over 11 grand each month on meals. Even for an entrepreneur as successful as Neil Patel, that’s a lot of money. Sure, most of these meals were business meetings, and those that weren’t were usually meals with coworkers… but almost $140,000 on food alone? The look Neil gives you as he pays for your dinner and you sign a $2 million marketing contract. Well, if you’ve been paying attention so far, you know Neil doesn’t let anything through without testing… and that includes the food he puts on the table. So, he grabbed the data from his bookkeeper and got to work. So what’s the real deal behind meals with Neil? Let’s find out. Neil had 603 meetings over 12 months that took place during a happy hour or over a meal. 18 of those meals, totalling $51,491.28 (or 37% of Neil’s spending), were with “many of [his] coworkers”. He attributes his spending on coworkers to his appreciation for their work. "In my book, spending money on coworkers and colleagues is never a waste because you are showing your team members that you appreciate them. For these reasons, I never try to calculate an ROI on this set of expenses." Neil spent $72,489.31 on entertaining potential clients; 6 of these meals were over $5,000 for clients who enjoyed fine dining. He had meetings with many entrepreneurs, during which they would trade advice or he would help them with their businesses. Neil moved forward to close deals with many of the potential clients he met. He received a considerable amount of valuable information from his meals with other entrepreneurs. After analyzing his meal spend, Neil has decided paying for meals with coworkers and employees is always worth it, “because they work extremely hard for you”. For potential clients, Neil believes paying for meals is a “courtesy” - but it doesn’t necessarily turn into additional revenue. Neil pinpointed the source of his spending on other entrepreneurs to respect towards them taking time out of their busy schedules. Neil generated roughly $520,000 in revenue from the clients he met with. One tip about “sales floors” from an entrepreneur he met helped Neil save money on labor and generate an additional $285,000 in sales. Another tip from an entrepreneur about geo-targeting website copy brought in an extra $187,000 in revenue. Okay, let me guess… you also don’t have 140 thousand dollars to spend on meeting with clients… let alone ones you haven’t closed deals with yet. This case study, however, gives us insight into Neil’s values. Paying for meals is Neil’s way of showing respect for everyone he works with, and a way of “sweetening the deal” when it comes to meeting with potential clients. "Food is a great social currency that goes a long way." Though Neil’s ROI is concrete, the real return consists of the relationships he builds with the people he treats. So… don’t drop thousands of dollars on a meal with clients - but realize that something as simple as paying for a meal might have a large effect on your business’ future wellbeing. In March of 2015, Neil wrote a blog post called “How to Generate $100,000 a Month from a Brand New Blog”. Instead of giving his readers a step-by-step list of things to do when starting a blog, Neil decided to take things into his own hands. Our favourite marketing madman gave himself 1 year to build a blog with $100,000 in monthly revenue. Because his readers wanted him to build a company in a space he had no prior ties to, Neil Patel started a nutrition blog. This is going to be a lengthy section, so buckle in and put on your safety goggles. Neil launches a blog called NutritionalResource.com; the site is up and running by April 15th. In the last weeks of April, Neil writes and publishes four blog posts, and drives visits from 27,964 unique visitors. He uses Facebook as his main traffic generator; he starts a fan page and gains over 50,000 fans using Facebook Ads. Many of these ads are targeted towards English-speaking foreign countries, so cost per click is low. 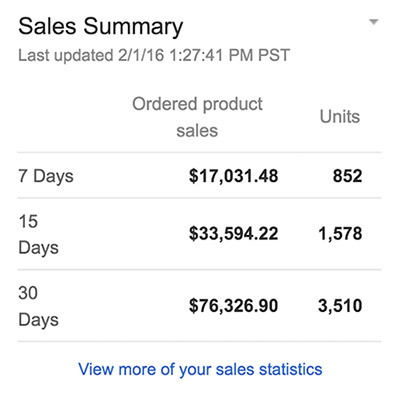 Statistics from one of Neil's Facebook Ads. Neil uses Ahrefs to see sites linking to his competitors and gets his intern to email these site owners requesting they link to NutritionalResource.com. He hires writers to help with content creation; these inexperienced writers (working for free, I might add) use little data and often make grammatical errors. Neil responds to readers’ claims that he is “cheating” by using his name on the new blog by saying “no one knows [him] in the nutrition space”. "It’s not my name that gives me the advantage—it’s my experience. I’m probably better than most marketers are at building links, running social media campaigns, and writing content." Neil also realizes his domain is being “penalized” in SEO (it doesn’t rank for its own name) because many spam sites link to it. He switches the domain to NutritionSecrets.com. Neil passes “control” of the blog over to his friend Mike, who is a nutritionist. Because Mike isn’t as experienced as Neil in the blogging sphere, engagement drops. Neil realizes 38% of his traffic is coming from Quick Sprout; as a result, he stops linking to the site from Quick Sprout. 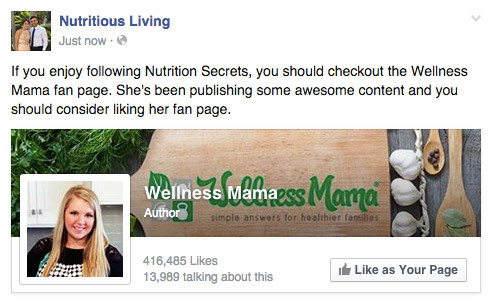 NutritionSecrets generates some traffic through Facebook co-promotions. One example of a Facebook co-promotion. Neil increases content production, getting Mike to publish about 5 times a week. Posts skew towards higher search volume keywords to generate views through search traffic. Overall search rankings from NutritionSecrets are rising. Neil mentions he needs to “think outside the box to generate income”; he decides on white-labelling a product to list on Amazon. He also plans to release an e-book to bring in more industry-related traffic and emails, with the goal of generating more comments. Traffic is rising again - 54% over the previous month in August. SEO is beginning to kick in. "I’m not a patient person, but SEO takes time, and there isn’t much you can do about it. It doesn’t matter how much content you write or how many links you build, search engines don’t just open the floodgates to your site." Neil highlights the importance of having a strategy document with a style guide, strategic plan, idea generation tools, and more. Neil adds e-book and a course to ideas for revenue generation. For “white-labelling”, Neil plans to sell a fish oil product; he also plans to use an affiliate model to sell. Basically, he will get a portion of each sale but won’t have to put up any money upfront (they’ll use drop-shipping). One post, “What Happens to Your Body When You Quit Sugar”, goes viral on Facebook. 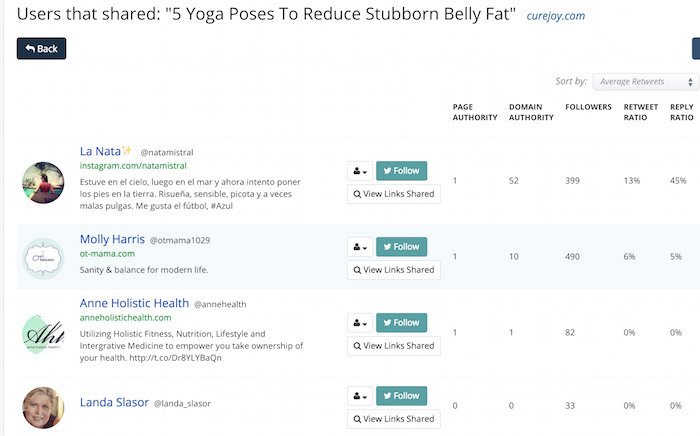 Neil and Mike use Buzzsumo to find sharers of related content, and email these sharers with NutritionSecrets articles to increase social shares. 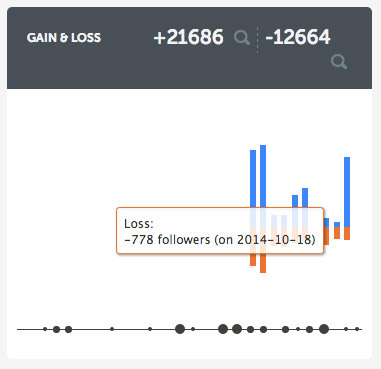 Neil and Mike used Buzzsumo to find influencers to share their content. 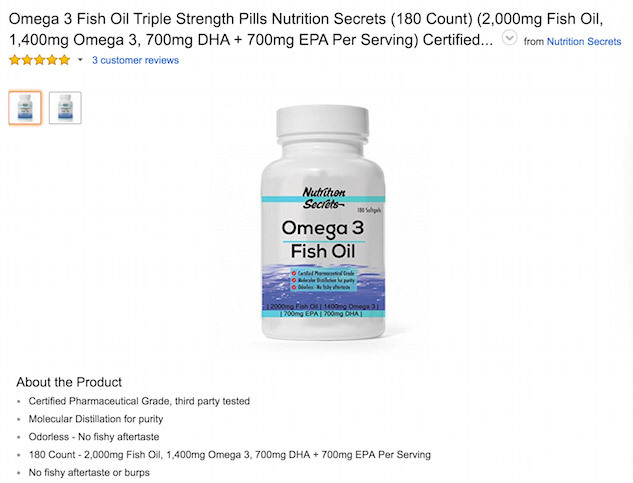 Neil and Mike begin selling the fish oils on Amazon at cost - Mike hands out coupons to people who are interested in the hopes of getting hundreds of reviews. Nutrition Secrets' Amazon product page. November sees around 60,000 visitors, about 62% of which are coming through search traffic. They approach Amazon’s top reviewers to offer the product at a discounted rate (or free). They also offer discounts to their email list subscribers. Nutrition Secrets' new bottle design. By December, Neil has noticed only 16.2% of visitors are return visitors. He attributes this to poor email collection. To combat this, he changes the homepage of the blog to an email opt-in, similar to the one he uses on NeilPatel.com. 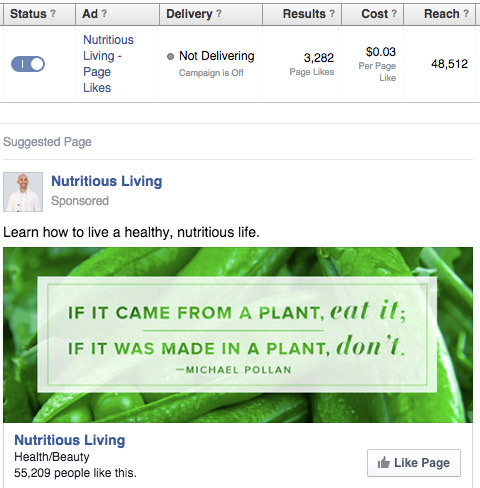 NutritionSecrets generates $22,702 in sales, but many of these sales come from coupons. 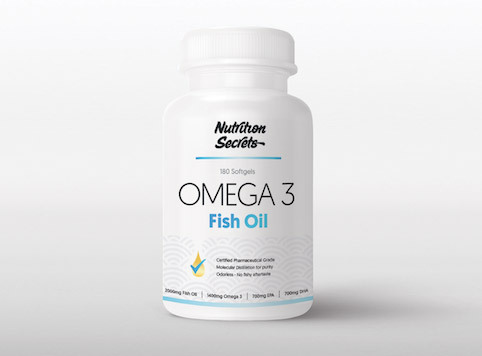 By January, NutritionSecrets.com has 139,417 unique monthly visitors who have purchased $76,326.90 of fish oil supplements. NutritionSecrets' high costs leave a small profit margin of just over $7,000. Nutrition Secrets' sales for January. Neil predicts (correctly) a drop in success in February as their fish oil inventory begins to run short. They generate about $55,000. However, their traffic is up to over 200,000 - Mike has been posting once a day; traffic comes from a mix of search, email, and social. In March, traffic grows to 218,811 visitors - Neil is happy with this increase, as the “popularity of nutrition and fitness sites is cyclical”. The blog is now generating 300 to 400 email sign-ups a day. Now that the challenge is over, Mike wants to try different content formats (e.g. infographics). Neil notes the difficulty of ranking on Google today, compared to 5 years ago. In March 2016, revenue from Amazon was a whopping $112,573.30 - a good margin above Neil’s goal of $100,000. After taking costs into account, NutritionSecrets came away with a profit of about $51,937.13 - not too shabby. Neil kept costs low by minimizing the amount of inventory they kept on hand of fish oils. He attributed the increase in Amazon sales to several things, including quantity and quality of reviews, strategic keyword choice, combating of negative reviews, and Amazon ads. Are you starting to see a pattern here? I’m not going to lie to you and tell you it’ll be easy to do the same thing. Neil definitely has an advantage when it comes to his marketing experimentation because of the considerable resources available to him. But it doesn’t mean you can’t apply the strategies he employs at least in some part to your own business. There’s a few, so let’s go through them quickly. To keep costs low when first growing your blog, try creative methods of advertising. If you have an English blog, don’t be afraid to target other English-speaking countries with a lower PPC. Partner up with other growing blogs or brands in your industry to accelerate the growth of your business. This is a great way to create connections in your industry, and reach new, high-quality customers with interests related to your business. Consider writing or featuring guest posts, or even running contests to leverage a strong partnership. SEO is a huge traffic driver, and you should always keep it in mind when considering all things blog-related: URL, content, backlinks… it all affects your search ranking, and having a strong ranking for keywords related to your business or product is imperative when trying to reach your target audience. Use tools like Buzzsumo to find the content that's trending in your industry, as well as who’s sharing it. Look for opportunities to connect with social media influencers, and reach out to them with content you think they’ll find interesting. If they find it valuable, they’ll share it with their followers - another great way to reach new people in your target market. Finally, make sure you’re constantly growing your mailing list - the people in it make up a reliable audience who are likely to be receptive to content or products you release in the future. If your goal is to get people to buy a product you’re selling, having leads from your mailing list gives you the opportunity to nurture them with email marketing automation drip campaigns. If you haven’t noticed yet, Neil Patel has money. That’s why I’m really not all that surprised he spent nearly two million dollars “testing and analyzing lifestyle marketing”. To be honest, that just sounds like a good excuse to ball out and spend a ton of money. But if you got it, flaunt it, right? If you’re active on Instagram, I’m almost certain you’ve seen lifestyle marketing in action. The guy I referenced in the first section, Dan Bilzerian, is a prime example of it. Neil refers to lifestyle marketing as people “telling the world about their fancy lives”. I’d say this is one way to think about it, but lifestyle marketing can also refer to marketing strategies employed by companies like Red Bull, who push an “extreme sports” lifestyle in their marketing communications. As far as I’m concerned, lifestyle marketing refers to any marketing strategy that emphasizes any particular lifestyle; it doesn’t necessarily need to be an extravagant one, though that does help when trying to draw people in. Neil spent $162,301.42 on new clothes over one year. He shopped mainly at Tom Ford, Dolce and Gabbana, and Burberry, buying primarily business attire (suits, tuxedos, briefcases). Neil noted that his first “fancy watch”, a $6,000 Panerai, has helped him “close more business deals than any other gift someone has ever given [him]”. “As an experiment”, Neil purchased a flashy $28,000 timepiece. He found this watch didn’t help him in his business dealings because it was “too flashy” and attracted the “wrong type of people”. Neil with his "flashy" (and ultimately ineffective) Breguet watch. After some research, Neil decided on a $50,000 Patek watch, which is popular amongst entrepreneurs and in the business community. Later on, Neil bought a $100,000 watch, also from Patek. 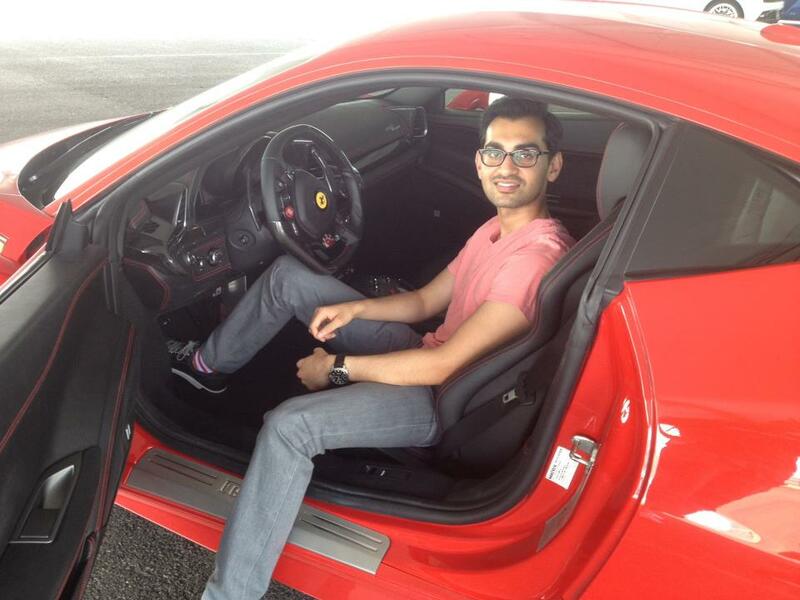 Neil Patel doesn’t own a Ferrari. However, Neil’s friend had taken him to drive Ferraris around a race track (which he “didn’t care for”) and he posted a picture of himself in the car on Facebook. After moving out of a 275 square foot apartment in Seattle, Neil moved to a condo in the Hyatt Hotel. 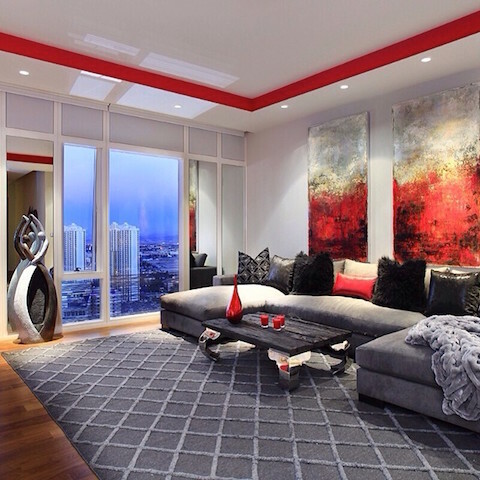 He spent $420,000 on this condo and eventually sold it for a profit of $60,000. Neil's home hotel, the Hyatt at Olive 8. CNN posted a story about Neil’s stint in the Hyatt, which (other than large quantities of hate) generated 20,000 visitors to each of Neil’s websites within a day. 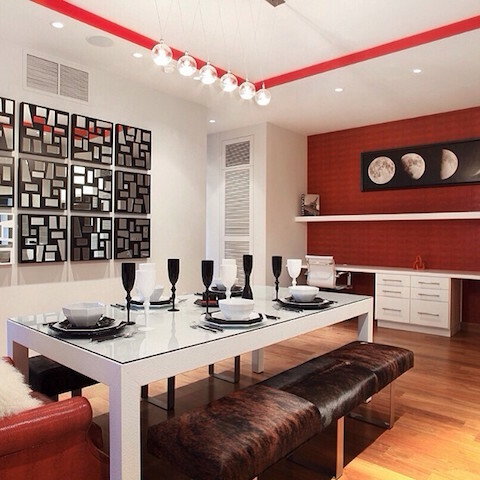 Neil bought a condo at the Mandarin Oriental Hotel in Las Vegas for $1,760,000. 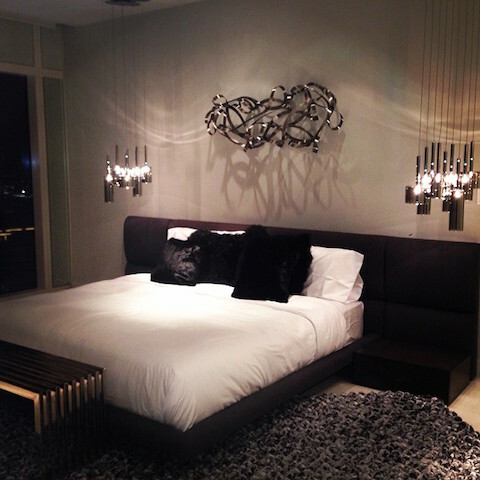 He also spent $230,000 on furniture and decor “to portray the image of ‘being successful’”. Neil found dressing nicer made him look more successful to other people. He found it helped him build relationships - he met someone in a Dolce and Gabbana that gave him a corporate code for Starwood Hotels to save several hundred dollars a night. He also received free NBA All Star tickets and courtside tickets to Miami Heat games from basketball players he met while shopping. "I didn’t know who they were or what they did. I just found it odd that they were walking around in small packs. One of them walked up to me and told me I had “swag.” I wasn’t very familiar with the term “swag,” but I took it as a compliment." Neil’s “standard” 25% closing ratio (the number of meetings that ended in a deal) increased to 40%. The $50,000 Patek watch generated no income for Neil for 3 months after he bought it. However, in the 4th month, Neil met a man at a restaurant who complimented his watch and asked him to join him. The man turned out to be a Patek Philippe collector who also owned much of the commercial real estate in New York City and Brooklyn. "After chatting for an hour, we traded contact information, and within a month I signed a contract with his company…all because he spotted my watch across the room and saw it as a sign of me being a successful entrepreneur." The $100,000 watch caused a private equity manager at a non-profit event to start a conversation with Neil; they also traded contact information. Neil received the opportunity to pitch a $1,200,000 marketing contract to the man’s firm. The picture of Neil in a Ferrari on his Facebook page attracted the attention of exotic car dealerships, who asked him for marketing help. One of these contacts led to a deal with an exotic car company to help them generate leads in exchange for a percentage of their sales. Neil was offered $2,200,000 for his condo at the Mandarin Oriental but ultimately turned it down. After moving in, well-known entrepreneurs began asking Neil about his business, on the grounds that it couldn’t be cheap to live in the Mandarin Oriental. Living in a condo has helped Neil make connections he may not have made living in a private neighbourhood because he often sees his (successful) neighbours in hallways or the elevator. "From a business standpoint, living in a building full of entrepreneurs has been rewarding. Assuming you enjoy networking and you know how to leverage connections, it can help you make more money." Neil claimed dressing well helped him close more deals, for a total of an additional $692,500 in revenue. The contract Neil closed with the real estate owner was worth $500,000 yearly. Neil’s commission deal with the car company netted him $1,041,493. Neil noted that cars have the “best ROI” within the lifestyle marketing space, because they can be leased or bought used to start generating income quickly. Neil closed several marketing contracts with people he met at the Mandarin Oriental: one with an outdoor sports website for $360,000 yearly, and one with a hedge fund manager for $540,000 a year. Neil also met a tax accountant through the owner of the sports website who helped him save nearly $300,000 on taxes. Not bad, eh? Sometimes, you need to spend money to make it. 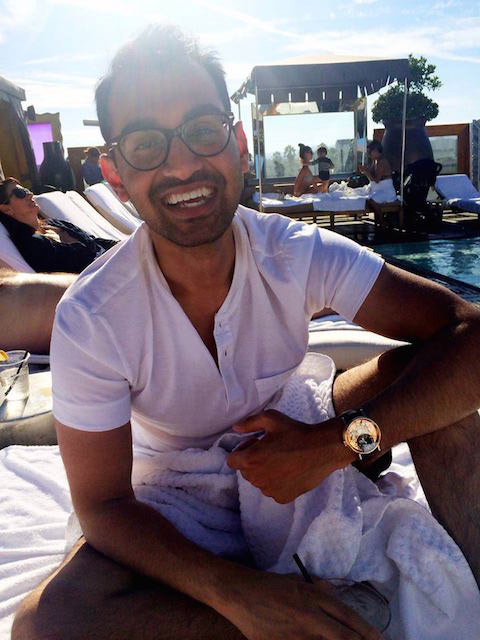 Neil Patel’s foray into lifestyle marketing is proof of this: even though he spent upwards of two million dollars, he made back nearly $3.4 million in the deals generated through his experiments. As far as lifestyle marketing itself goes… I think it’s clear to see that it’s really not for everyone. Neil claims in response to some more sceptical comments (from people with less money than Neil) that it can be done on a smaller scale. In my opinion, the kind of lifestyle marketing Neil utilizes is reliant on its grand scale. The man Neil met in the restaurant likely wouldn’t have batted an eye at any watch worth less than his Patek, let alone invited Neil to join him. That being said, it’s important to try and build the image you want to portray to potential business partners or clients. There’s no doubt - especially after reading Neil’s Ferrari story - that just the appearance of success is appealing to other people. In this case, it’s okay to fake it until you make it, as long as you’ve got the chops to back it up. As far as your business goes, consider (more tame) lifestyle marketing to sell your brand to your target audience. Be more than your product - think about the life your customers want to lead and do everything you can to associate your brand with that life. You’ll find it’s much easier to connect with your consumers and strengthen the connection they have with your brand. I once had an Economics professor whose motto was "assume nothing"... and I guess Neil Patel's is "test everything". After all, this marketing mad scientist has built a brand out of it. So if there's one thing you take away from this article today, it's that. You don't need Neil Patel money to push marketing boundaries. Just remember that in the world of marketing, nothing is too crazy. As long as you test it, of course. So what do you think? Has Neil Patel gone off the marketing deep end? Or is he just the right amount of nuts? Let me know in the comments below! Did you enjoy this article? Click here to help me share it with Neil!